This historical building, recently renewed to a high standard, consists of offices, conference room, kitchen and lounge area, all modernly equipped, while still retaining the antique charming atmosphere. 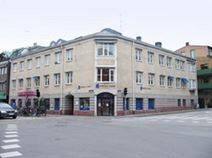 Centrally located in Lund, the building enjoys a stunning view over the city's main square and benefits from excellent transport connections. There is also a number of supermarkets and suppliers within walking distance. This modern building offers fully furnished offices and conference rooms equipped with fax and photocopy machines. These offices benefit from a large kitchen, lunch room, parking and disabled facilities. The building enjoys an excellent location and is served by numerous public transport links. Commutes will always be straight-forward to this fantastic, accommodating centre, and there are many hotels in close proximity for your visiting clients. 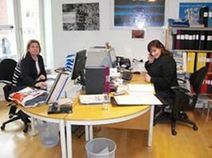 This is a unique opportunity of renting a selection of offices in traditional Swedish style. Completely renewed and refurbished with modern facilities, these offices still retain the traditional charm, offering a professional, stylish and pleasant working environment. These office spaces are located in the heart of the city and are well served by public transport. There are also lots of hotels close by where you can accommodate your visitors and clients, as well as many restaurants in the surrounding area.